The balance of power in Iran favors the regime mainly because the powerful Iranian mullahs have coup-proofed themselves from the military and created an equivalent paramilitary organization called IRGC - Islamic Revolutionary Guard Corps. 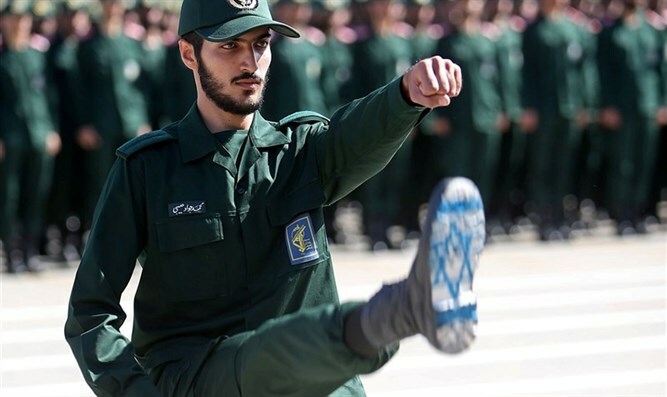 The Islamic Revolutionary Guard Corps (IRGC) is the Islamic Republic’s elite military force which was created by the late supreme leader, Ayatollah Ruhollah Khomeini in the wake of the 1979 Islamic Revolution. Its primary responsibility was to defend the regime from internal and external threats. However, its mission went beyond its original objective. Today, the IRGC possesses an enormous power structure with influence over almost every aspect of Iranian life. Unlike the regular armed forces responsible for defending Iran’s territory, the IRGC was explicitly designed to protect the Islamic revolution itself and to eavesdrop on the regular military. Khomeini never trusted the regular military. The country’s primary security establishment. more than one hundred thousand strong, the IRGC fields an army, navy, and air force, while managing Iran’s ballistic missile arsenal and irregular warfare operations through its elite Quds Force and proxies such as Hezbollah. The balance of power in Iran favors the regime, mainly because the powerful Iranian mullahs have coup-proofed themselves from the military and created an equivalent paramilitary organization, referred to as the Islamic Revolutionary Guard Corps (IRGC), in addition to the Basij and Al-Quds forces, and other such intelligence and security organizations. The IRGC and its proxies have gone beyond Iranian territory and into Iraq, Syria. Oman and elsewhere. The Islamic government of Iran has also deployed its Revolutionary Guard Corps (IRGC) and Quds Force to assist Bashar al Assad’s military. It has also provided a great deal of financial, intelligence and an advisory capability to Assad’s military. The Islamic regime in Iran has been helping Bashar Al Assad’s Alawite sect, an offshoot of the Shiite branch, fight predominantly Sunni rebels. This includes a presence on the ground of the IRGC actively murdering Sunni brethren. The IRGC has been compared to the Nazi’s SS in Germany. 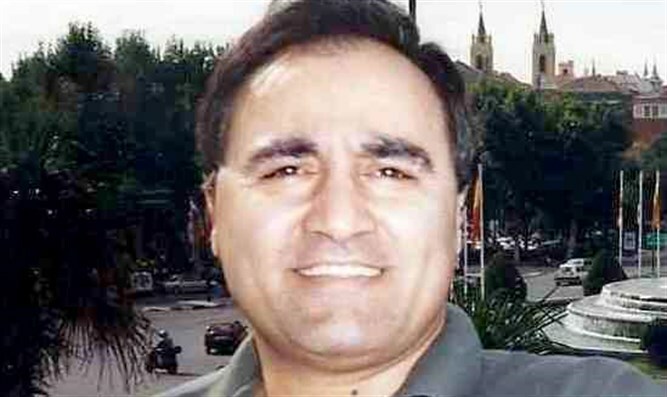 “Both SS and IRGC had similar reasons to be created, The Nazi Party was weak and any coup against them was expected at first, when they started to recruit forces who were loyal only to Adolf Hitler and answer to no one but him. The very core of the SS was initially to be Hitler's body guards.” The same thing applies to Ayatollah Khamenei., the supreme leader of the Islamic Republic. Iran started its military involvement in Syria in 2011, at the outbreak of the civil war. Tehran’s immediate objective was to defeat the Syrian opposition militarily to save Syrian President Bashar al-Assad. The maintenance of the Shia-Alawi-dominated regime in Damascus was key to the Islamic Republic’s long-term regional strategy, the creation of a contiguous Shia arc of influence in the region, linking Iran through Iraq to Syria and Lebanon. The Syrian theater also witnessed changes to Iran's traditional use of proxies, militias, and plausible deniability. The Iranian security and intelligence communities, advise and assist the Syrian military to ensure Bashar al-Assad’s holds onto power. These works have developed into an expeditionary training mission using the (IRGC) Ground Forces, Quds Force, intelligence services, and law enforcement. The deployment of IRGC Ground Forces to conflict abroad is a notable expansion of Iran’s willingness and ability to project military force beyond its borders. So, what led the United States to designate the Islamic Revolutionary Guard Corps a foreign terror group? The IRGC was already sanctioned by the US: under the Department of Treasury. It imposed sanctions on the military organization in October 2017 under a 9/11-era executive order issued during the George W. Bush administration. “The IRGC has played a central role to Iran becoming the world's foremost state sponsor of terror. Iran's pursuit of power comes at the cost of regional stability, and Treasury will continue using its authorities to disrupt the IRGC's destructive activities," Treasury Secretary Steven T. Mnuchin said at the time. The US has ample evidence of the IRGC’s terror activity mainly because of its military support for Hezbollah and Hamas, organizations that the US and EU have both designated as terrorist groups. Trump has argued that Iran’s backing for such groups violates the essence of the nuclear deal. The IRGC commander Mohammad Ali Jafari warned in 2017 that if Trump went ahead with the move "then the Revolutionary Guards will consider the American army to be like Islamic State all around the world". The regime's leadership feels especially threatened by the intelligentsia, the writers, the poets, the journalists and the human rights activists whom they started to kidnap and murder in 1998. This action is known as "the chain murders. follower’s system of belief, denigrates life and glorifies death. To these people, death is not death. It is martyrdom, a sure passage to the unimaginably magnificent eternal paradise promised in the Quran. Iran has been under the rule of these fanatics since 1979. The Iranian people have attempted on several occasions to end the rule of these leaches, but each time they were faced with the ruthless Islamic apparatus. Many of them were massacred while the world watched and did nothing. The people of Iran wish nothing less than a complete regime change through a democratic process of a free referendum. They believe it is the surest, safest and the fastest way to achieve a democratic Iran and end the world’s nightmare of nuclear holocaust that is currently facing us all. Iranians are hopeful that this time around, a US President will deliver.